Forty-nine years ago, when young Peter A. Okebukola, applied to study for a Bachelor in Education (Biology Education) at the University of Ibadan, it was not a breathtaking affair, neither was it like having a bumpy ride on a tiger’s tail. But admission scripts written in recent times are replete with complex scenes and plots, even to the point that parents now deploy bags of money to help pave the way for their children and wards, as spaces get fewer in the country’s universities, while the number of admission seekers constantly swells.It is not only candidates, who are armed with the right Unified Tertiary Matriculation Examination (UTME) results, but fail to secure admission to study in institutions of their choices that are distraught, parents, who are not involved in the clandestine trade in admission slots are also not pleased with the current admission process in the Nigerian University System (NUS). Mrs. Roseline Ukeje, whose son sought admission into the University of Lagos (UNILAG), is one of such parents. 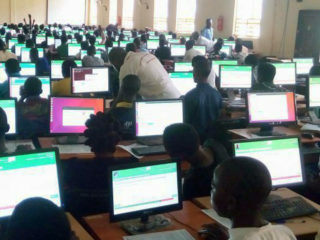 She is therefore urging the National Assembly to, among other things, expedite action in extending the validity of UTME result from one to three years, just as she wants the post-UTME done away with for good. “Sincerely I am not satisfied with the current admission procedure in this country. My son scored 247 in the UTME and 15 in UNILAG’s post-UTME. We were told that the cut-off point for the post-UTME in UNILAG is 12, but my son scored 15, yet in the end, he was denied admission. This is a child that puts in so much effort in all his examinations. He excelled in his O’ Level, UTME and post-UTME, and was waiting to receive the good news, but unfortunately he was denied admission. But 17-year-old Fadhlu Rahman Lawal, who scored 292 in UTME and 49 in the post-UTME and was still not admitted is willing to give it a second shot. Already, the young Lawal, who is aspiring to study Petroleum Engineering at the University of Ibadan, has obtained another JAMB form and commenced classes.Nigerians’ appetite for tertiary education is huge, but existing infrastructure in schools, government policies and political realities appear to constitute a stumbling block to the realisation of the dreams of millions of youths that are churned out of secondary schools yearly. PENULTIMATE week, the JAMB informed The Guardian that more than 90 per cent of institutions in the country complied with the deadline to end their 2017/2018 admissions by January 25.The outfit also noted that over 75 per cent of the total number of qualified candidates that applied for admission were admitted into the institutions of their choice.According to its Public Relations Officer (PRO), Dr. Fabian Benjamin, the few schools that couldn’t adhere to the directive were those institutions with peculiar challenges. He said: “More than 90 per cent of the admissions have been completed by institutions as at the stipulated deadline. The few that couldn’t meet up were those institutions with peculiar challenges, some with accreditation status that are not clearly defined and need regulatory authorisation and some who are just taking off and need what we call sourcing of candidates. This level of compliance is encouraging and by next exercise, we should be talking about total adherence. 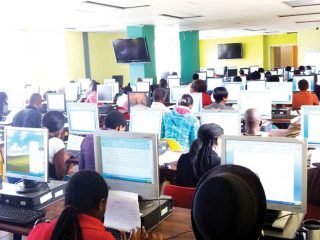 In spite of JAMB’s much-trumpeted achievement, the din outside in the wake of the expiration of the admission deadline seems to contradict its claim that over 75 per cent of the total number of qualified candidates that applied for admission were admitted into the institutions of their choice. This is because from only seven schools sampled by The Guardian, only 46, 950 candidates were admitted from a pool of 244, 444. For instance, of the 104, 000 candidates that qualified for admission to the University of Ilorin (UNILORIN), only 11, 000 were eventually admitted. In the case of the University of Ibadan (UI), 27, 000 candidates scaled the hurdle, but only 3, 750 got placements. Of the 20, 000 candidates that the Lagos State University deemed qualified after the post-UTME, only 4, 000 were lucky. Ambrose Ali University, Ekpoma, Edo State, squeezed in 8, 000 candidates from the 15, 000 that were qualified, and the University of Benin managed to absorb 10, 000 out of the 21, 000 that made the cut at the post-UTME stage. 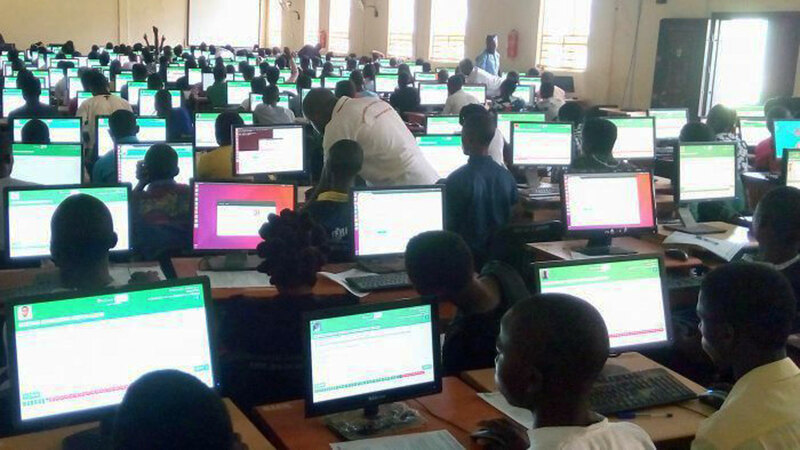 The University of Port Harcourt gave admission to only 6, 700 candidates out of the whooping 37, 000 that recoded success in the post-UTME, and the Federal University of Technology, Akure, Ondo State created space for a paltry 3, 500 out of the 20, 000 successful candidates from its post-UTME. Barring his mind on the call for the extension of the validity of UTME result to three years as proposed by lawmakers, Benjamin disclosed that, “The three-year validity is not at the root of any admission challenge. The inability of candidates to secure admissions are strictly the choices we make as candidates, parents and some of the regulatory policies. We are doing everything possible to address these challenges, as we recently secured the approval of one of the regulatory agencies to waive some subject combination for UTME. “The demand for combination of mathematics at credit level for candidates who want to read Hausa or Yoruba is quite unnecessary. We believe that all these will add value to the total number of candidates being admitted.“Additionally, the introduction of the Central Admissions Processing System (CAPS) by the board is to ensure a seamless admission processing. This system provides the opportunity for candidates to monitor admissions exercise with a view to raising queries where there are attempts to deny eligible candidates placement. For instance, if a candidate with a higher score is not admitted and he discovers on CAPS that someone with less aggregate score has been admitted, he/she will seek clarification from the board courtesy of CAPS. It guarantees fairness as anything less than the prescribed requirement would not be able to penetrate the system,” Benjamin stated. However, some affected institutions are urging the Federal Government to give priority attention to university education by increasing its allocation to the sub-sector, even as they blame the admission impasse on the quota given to them by the NUC. Going beyond the recommended number, they fear, may result in sanctions by the commission. According to Public Relations Officer, University of Port Harcourt, Williams Wodi, instead of government considering the establishment of new universities to cater for the teeming admission seekers, it should expand the capacities of existing institutions.Wodi, who noted out that of the 1.7 million that wrote the last UTME, the totality of all the nation’s universities cannot take more than 570, 000 stressed that, “this is a very big problem, already, lecturers are overburdened. The NUC said we need about 32,000 Ph. D holders to teach in our universities, where do we get that? While also harping on the need for the government to strengthen existing colleges of education and polytechnics by upgrading them to degree-awarding institutions, he urged the government to revamp polytechnic education; make its products globally relevant and competitive, and put in place uniform entry requirements for all tertiary institutions. Media aide to the vice chancellor of the University of Ibadan, Mr. Sunday Saanu, also stressed the need for government to expand existing facilities for improved access. Vice Chancellor, Christopher University, Mowe, Ogun State, Professor Friday N. Ndubuisi, is of the view that the issue of racketeering is not so much a serious problem. He also thinks with the situation on ground, giving admission to all qualified candidates is a near impossible task.“It is not that admission racketeering is not there, but it is not as serious as some may think, especially in federal universities. The criteria for admissions are clear and bright candidates make it without hassles, but the situation might be different in state universities where the criteria may not be very clear. Having said that, I think the country has reached a stage where admission in all federal universities should be based on merit. With this, the issue of lobbying or racketeering would become an unthinkable option. 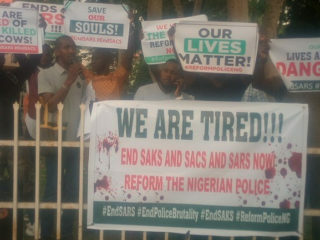 “We must admit the fact that it is not everybody that enters for the UTME that is a university material just as it is not possible, with the current situation on ground, to give admission to all admission seekers. This is because facilities on ground cannot sustain that, besides most of the candidates cannot survive inherent rigours in the university system. However, as a developing nation, it is imperative for us to expand the facilities in our universities to make room for more candidates. “Institutions like the Yaba College of Technology, Kaduna Polytechnic and the rest should be upgraded to universities since it is obvious that most admissions seekers prefer universities to other tertiary institutions,” he said.Ndubuisi, who maintained that public universities are the first choice of many candidates that are seeking admission said, “When these candidates are unable to make it there, they resort to private universities for those who can afford the fees. So, the admission deadline should not be sacrosanct otherwise many universities and candidates will continue to be in jeopardy. Even state universities conduct their admission exercises after federal universities have done theirs since most of them survive on fees paid by these candidates, as the subvention from their owners can hardly keep them afloat. “In other climes, government and philanthropic organisations give scholarship and grants to private universities. But here the story is different. The government must see private universities as partners in human capital development. In that respect, the government must come to the aid of private universities as doing so will encourage them to bring down their fees. Quite a lot of parents and guardians want to send their wards to private universities now, but they are constrained by funds. So, we must encourage private universities to survive well as doing so is in the best interest of the nation, and our teeming admission seekers. SEASONED educationists who spoke on the thinning access to tertiary education among other things are canvassing improved funding of universities for massive infrastructural development while also suggesting the Open and Distance Learning (ODL).Another school of thought is calling for the removal of the dichotomy that exists between university and polytechnic graduates as this would encourage more candidates to embrace polytechnic education as well as colleges of education. According to the former Permanent Delegate and Nigeria Ambassador to the United Nations Educational, Scientific and Cultural Organisation (UNESCO), Prof Michael Omolewa, there is a misconception about the objectives of the 6-3-3-4 education system, which is now 9-3-4, and the assumption that every citizen must automatically transmit from the primary, to junior and senior secondary and then university. This misconception, he said has affected the attitude of parents, who expect that all their children should necessarily end up in the university. “The original idea of those, who designed the system was that after examination at the junior secondary, students who are inclined towards the use of their hands mainly and gifted in technical issues would end up in institutions that would assist them to develop skills acquisition and become the industrial barons of the nation, using their ability and their God-given skills. 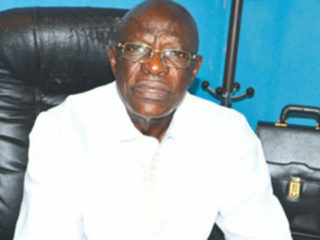 They can also proceed to the senior secondary and from there, veer off to the polytechnics and there, those who will serve as the foundation of the industrial development of the country.”Former vice chancellor, Caleb University, Prof. Ayodeji Olukoju, is also of the view that “it is not everybody that is destined to go to the university, you can go to the polytechnic or subscribe to ODL. “I know that access to university education is not wide enough but my take is why are you producing graduates if you don’t have jobs? Does government have enough jobs for the graduates that are being churned out? Why must everybody go to the university? There must be a match between the graduates you are producing and opportunities in the economy to absorb them, otherwise begin to train them to be entrepreneurs so that when they come out of school, they don’t go job hunting.